Many times, less is more. 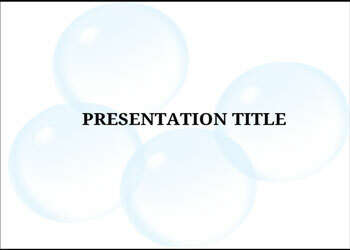 If you are looking for a simple and professional template to prepare your presentation, use one of the templates we offer you below. With these templates and thanks to its simple design, you will be able to convey your message in a direct and enjoyable way. Pink is one of our simplest and versatile templates, which you can use for all kinds of presentations. Its design with white background, will not interfere in anything with the theme of your presentation nor with the colors or logo of your company. It is a template to focus attention on the text content. If you are looking for a simple template for your presentation, but also elegant, Little meets these two characteristics. Its simple design composed by a background image in blue and black, conveys a subtle touch of elegance. 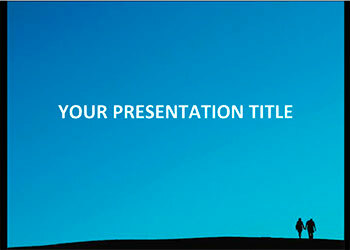 You can use it to present any type of project. 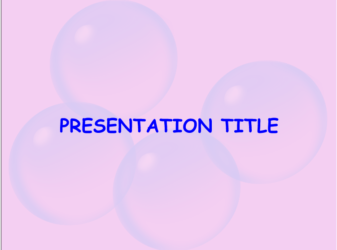 Blue Bubbles is a free template with an absolutely simple design, but with a touch of creativity. 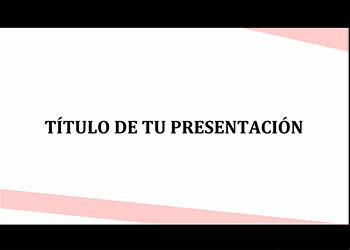 With this template you can present any type of work for the school, adapting it to the message you want to communicate. The design of this free theme has been conceived based on strawberry chewing gum. It is a presentation with a simple and fun design that plays with both the background color of the slides and with its original and funny font.